Syracuse Basketball fans will have another familiar face on the court once the season gets started. 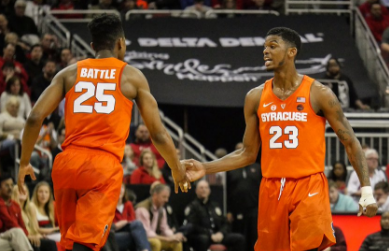 Tyus Battle yesterday officially withdrew his name from the N-B-A draft … and plans to come back to school for his junior year. Battle spent the last few weeks getting assessed by pro teams, including attending the N-B-A combine. He made visits and did workouts for several teams. He was considered by some analysts as likely to be a second-round draft pick. First round picks have guaranteed contracts, while in the second round, contracts and income are less certain. 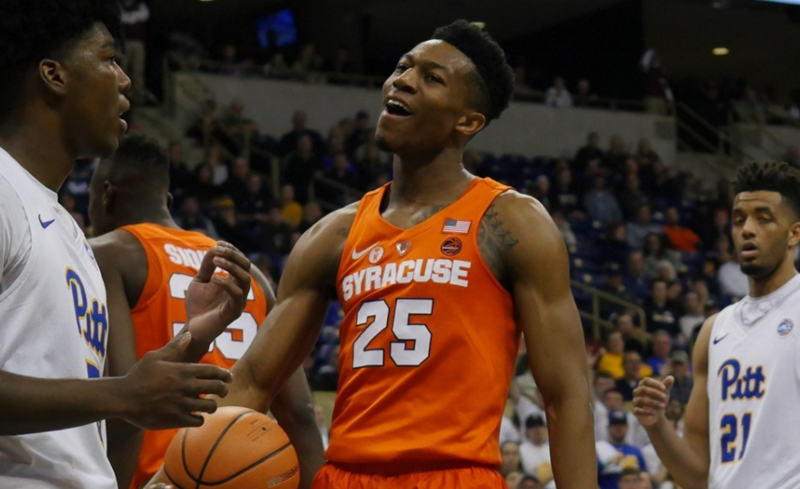 The Orange Men's Basketball team is done dancing after a tense matchup with No. 2 seed Duke, ending with a final score of 69 - 65. 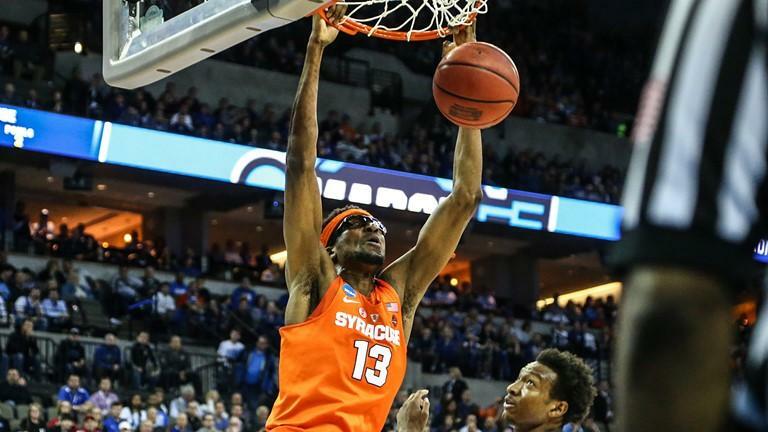 All hopes of an upset to parallel Syracuse’s 2016 run to the Final Four were dashed as the Blue Devils pulled ahead in the second half of Friday’s game. Both teams appeared evenly matched for the duration of the first half. No. 11 seed Syracuse made eight of their first 12 shots, getting out to a 17 - 14 lead early in the game. The party is over. Now it’s time to dance. 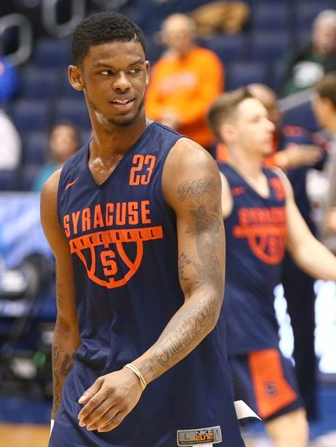 Syracuse men’s basketball looks to make the most of its controversial NCAA tournament bid when the team takes on Arizona State Wednesday night. Both teams are No. 11 seeds, having made the tournament as at-large bids. These spots are given to the strongest teams who did not earn a bid by either winning their conference during the regular season, or by winning their conference’s tournament at the end of the season. 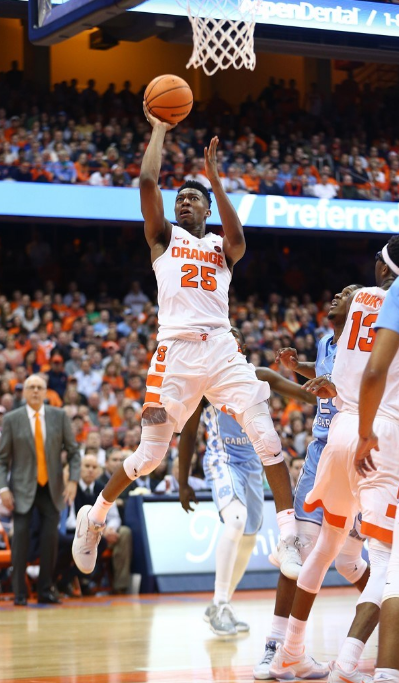 It was a packed Loud House in Central New York, but Syracuse (18-10, 7-8) fell 78-74 to North Carolina (22-7, 11-5) in a back and forth affair. Frustrating does not do the result justice. Frank Howard, Tyus Battle and Oshae Brissett scored 66 of the Orange's 74 points. The story tonight is the same as it has been all season, 'Cuse has only three players making significant offensive contributions. 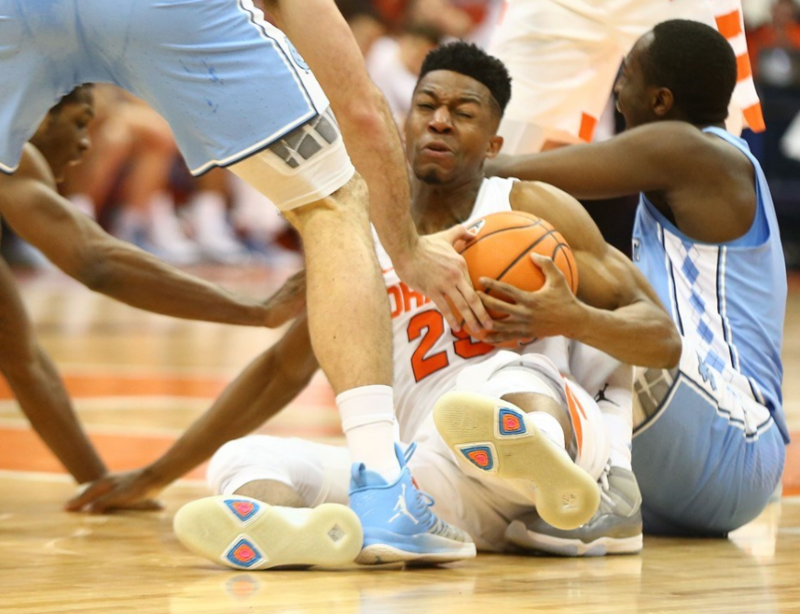 Despite all the scoring, Syracuse struggled to defend inside for the majority of the game. A win in Miami may have saved SU's (18-9, 7-7) season, but the road ahead doesn't get any easier. The team's next roadblock is #10 North Carolina (21-7, 10-5). The Tar Heels are a perennial tournament team looking to make their third straight NCAA finals. This year the Tar Heels don't boast their usual NBA talent, but they still rank among the top of the NCAA in a couple of important team statistics. 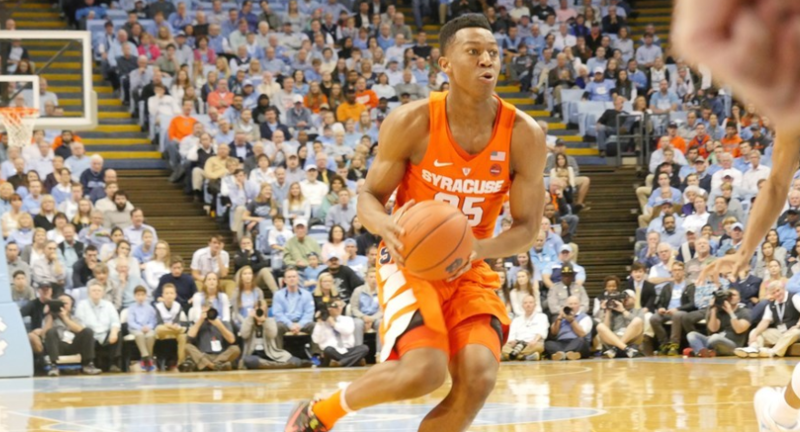 One thing was consistent in what became a tale of two halves for the Orange: Tyus Battle. Syracuse (17-8, 6-6) held on to scrape by Wake Forest (9-16, 2-11) 78-70. Battle put his fingerprints all over the contest, scoring a game-high 34 points. The sophomore's biggest strength on offense was his ability to score from near and far. In addition to his eleven points off free throws, Battle hit three triples. January 3rd may seem like a short time ago, but for two ACC teams it seems like a distant memory. On that Wednesday one month ago, Wake Forest (9-15, 2-10) defeated Syracuse (16-8, 5-6) by the score of 73-67 in Winston-Salem. Since then, the Demon Deacons have only won one game. Meanwhile, the Orange have gone 4-5 in that same stretch. Now, the two teams meet again today at the Carrier Dome. After the most recent SU contest, a 78-73 win over Louisville, Syracuse Head Coach Jim Boeheim spoke with the media. If you had the Orange winning a shootout, you might have been alone. Syracuse (16-8, 5-6) shot an uncharacteristically high 47% from the field and 46% from three, which propelled them to a 78-73 victory over Louisville (16-8, 6-5). Syracuse, coming off two straight losses, needed a big road win in the Bluegrass state. In those two losses, the Orange combined to score only 95 points, including a season-low 44 against No. 2 Virginia on Saturday. Syracuse almost matched that total in the first half. Entering the heart of conference play, Syracuse (15-6, 4-4) travels to Georgia Tech (10-11, 3-5) Wednesday to play the first of three games over the course of six days. The Orange is heading in the right direction, winning three straight. The victories were over ACC bottom-dwellers Pittsburgh (twice) and Boston College, but pushed Syracuse to an even 4-4 record in conference play this season. On the flip side, the Yellow Jackets have dropped four in a row, most recently falling late to Clemson 72-70. A long break can leave a team rusty or rested. 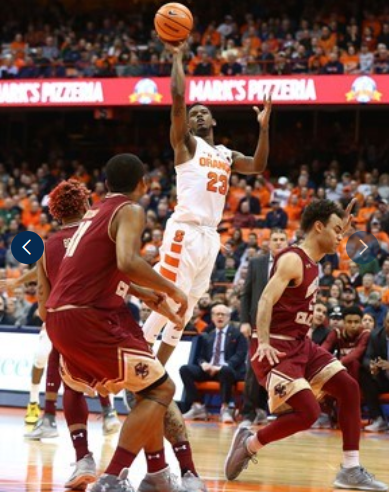 Following a week off of in-game action, the Syracuse Orange (14-6, 3-4) showed little rust in an 81-63 win over the Boston College Eagles (13-8,3-5). 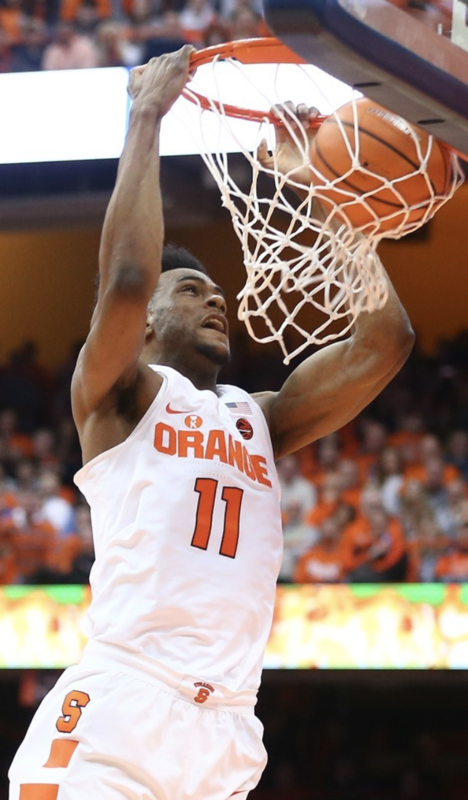 Tyus Battle led all scorers with 24 points on a night where the Orange offense flourished after an early defensive lapse. Boston College drained four three pointers in four minutes to open up a 14-7 lead early.